Stoll, Germany’s leading flat knitting machine manufacturer, has concluded its first Stoll Symposium at its New York City facility this week, in honour of its 145th anniversary. The event was a means to give back to the key industry players that utilise Stoll’s machinery and services, as well as to educate designers and brands alike on the various knitting solutions and techniques available through working with Stoll. Knitting Industry spoke to Stoll’s CEO, Andreas Schellhammer about the company’s main markets, his vision for the digitalisation of knitwear production, as well as the future for the Stoll-knit and wear technology, at the event. Congratulations to everyone at Stoll on the company reaching its 145th anniversary. Can you give us an overview of the major trends which are currently influencing global sales of flat knitting machines? Andreas Schellhammer: Thank you. Of course, on a global scale, we continue to see a strong demand for machines that are specific to knitting shoe uppers – such as the CMS 330 HP BW TT Sport or the ADF 530-32 W TT Sport. We have also seen a consistent trend of fine gauge machines such as our E18/16 – this can be utilised for sportswear, shoes, and fashion. With fashion, trends are always fluid. However, there is a global need for a complete automated process for the designer, the knitter, and the manufacturer. This is where Stoll’s knitelligence platform plays a key role industry wide, as each software tool solidifies the entire knitting process from design to production. Which are currently the main markets for Stoll – both geographically and from an end use perspective? Which are your most popular machine models and gauges? AS: Stoll caters to a vast market worldwide – the simplest way to dive into this question would be to separate it by our departments, Fashion & Technology and Technical Textiles. With Fashion & Technology, there is always a key market interest for new extended machines and software features. Our new ADF 830-24 W is a nice example for how the fashion market has an impact on our machines because this machine knits fashion dresses in traversal direction. This goes into the mid- to high- end market, whereas the low-end market shows an increasingly high demand for seamless technology. Stoll-knit-and-wear machines cater to eco-friendly, economical, and sustainable values as our machinery can provide yarn and waste reduction solutions. With Technical Textiles, our markets are segmented into our TT Clusters: TT Med, TT Mobility, TT Home, TT Sport, and TT e-tex. Within these clusters there are various markets we cater to, including, but not limited to, healthcare, medical, automotive, office interiors, home interiors, shoes, sportswear, and smart textiles. We have specific TT machines that cater to these markets – our CMS 330 HP W/BW TT Sport, ADF 530-32 W TT Sport, CMS 530 HP TT Med, CMS 530 HP B/BW TT Med, and ADF 530-32/16 BW TT Med machines. Currently, there is a high demand for ADF machines due to the specific technology and novelties associated with these machines (plating, weft inlaying, and quilting with the option of longer needle bed widths). In regard to Stoll machine gauges, our Stoll-multi gauge machines (E7.2, E3,5.2, E1,5.2, etc.) have always been an industry preference given the flexibility of being able to knit in both finer and coarser gauges. We know that since 2012 the flat knitted shoe upper market has boomed. Is this still a growing segment and how many machines have you built for shoe uppers? 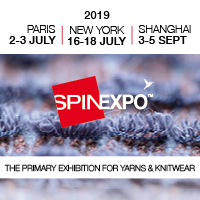 Most of the world’s knitting machine builders now offer machines to produce shoe uppers – flat knitting, warp knitting, circular knitting and hosiery knitting technologies. Is there room for everyone? How can flat knitting compete, for example, with the latest generation for hosiery machines when knitting true 3D knitted shoe uppers? AS: Unfortunately, we are not able to disclose specific information regarding machine sales. However, the market for shoe upper machines shows some saturation compared to the strong growth indicated for upcoming years. Nevertheless, there is some further growth in other regions besides Asia. There, indeed, is a run for new designs, techniques and materials. Other technologies try hard to compete, but it is difficult to succeed due to the restrictions in versatile use. 3D outcomes on flat knitting machines are quite competitive – particularly when add-ons are included that other technologies cannot deliver. Away from traditional knitwear markets and shoe uppers, what do you think will be the next ‘killer application’ for flat knitting? What is the potential for flat knitting in smart textiles for example? Do you see much potential for flat knitting in the composites sector? AS: Each development and technique have taken time to mature. As such, we work on various alternative fields, which may also show some potential for large application markets – but, these will also take time and need pioneering lighthouse projects to have corresponding projects to follow. In regard to composites, any option of use is currently being looked at. Going back to knitwear, how big a part will Stoll-knit and wear technology play in the next 5-10 years? We recently published an interview with one of your Chinese knit and wear customers – is China where the future market is for Stoll-knit and wear? Or do you see it as a global technology? AS: Seamless knitting has always seen ups and downs, it comes in waves – sometimes it is trendy – due to shifts in textile markets and increase in labour costs (country by country). If, in 5-10 years, China sees increasing labour costs and is still a textile manufacturing market, then the textiles market will shift to other countries where seamless knitting does not play a role. Seamless knitting has a lot of limitations, and a lot of what you see in stores today can’t be made with seamless technology. If China remains a high-cost manufacturing country, then it could be a potential for knit and wear, but only with basic garments, as they would not be able to handle the complexities of garment construction including accessories such as cloths, hats, etc. With China being a high labour cost manufacturer, there are opportunities ahead for Stoll machines because China’s manufacturers will never be limited to just seamless knitting if they are to buy a Stoll-knit and wear machine. With this machine, manufacturers can utilise both seamless and fully-fashioned knitting – the investment is less risky. This is a global trend for manufacturers, but not so much for consumers – unless, there becomes an added value or aesthetical appeal to the elimination of seams. If the customer does not know knitting, then how will they understand seamless knitting? At Stoll you have always been strong on ICT and now have a strong focus on Industry 4.0. What is your vision for the digitalisation of knitwear production? How will a future flat knitted knitwear production facility look? AS: Digitalisation within knitwear production has been a key area of focus for Stoll – this is most exemplified within our new software solution Stoll-artwork – an Adobe Photoshop extension tool for which an optimised pattern development process can be implemented and communication between the designer and machine technician can be improved. Stoll-artwork is one of the eight software solutions of knitelligence. With knitelligence, the current benefits include increased efficiency, productivity, and quick response times that ultimately provide an entire end-to-end solution from design to production. Stoll plans to continue adding more digital solutions to knitelligence so that the company remains competitive in the industry and caters to the future needs that trend forecasts have indicated. With that being said, it is more than an accurate assumption that the industry will be laser focused on end-user perspective – B2B companies working together virtually to support the end consumer.